A Punjab minister raked up a fresh controversy for the Shiromani Akali Dal government on Saturday by terming the incident of a teenaged girl's death and molestation near Moga as "god's will".The 13-year-old was molested and pushed off a speeding bus, owned by Punjab deputy chief minister Sukhbir Singh Badal and his family's company, on Wednesday evening near Moga.The party is facing protests in different parts of Punjab over the incident.Speaking to media persons in Patiala, Punjab Higher Education Minister Surjit Singh Rakhra termed her death as an "accident" that occurred due to "god's will". "Nobody can stop accidents. Whatever happens is by God's will," he said. "We also travel everyday and can always meet with an accident...what has happened is unfortunate. You cannot go against nature's will," the minister added. 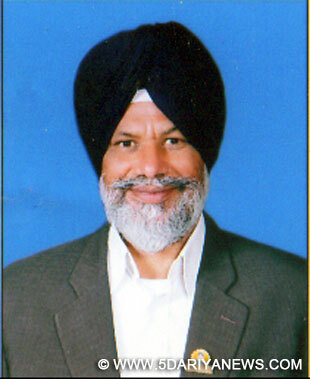 Also, Akali Dal legislator from Moga Joginder Pal Jain said: "A lot of accidents take place. "He further said the young girl had completed her life given by god.
."These parties should not play politics over dead bodies," Akali Dal general secretary Maheshinder Singh Grewal said.Grewal, however, said Chief Minister Parkash Singh Badal has directed the "strictest possible action against the accused". Terming the opposition parties' demand as "absurd, he said other parties, particularly the Congress and Aam Aadmi Party (AAP), "were trying to use the tragic demise of a teenage girl as a political tool to reclaim lost political ground". "The sincerity of the government can be gauged from the fact that the two prime accused were arrested immediately and booked under Section 302 of the IPC (related to murder)," Grewal added.